Use your card wherever your heart desires and shop online as much as you could. Roam your Money. 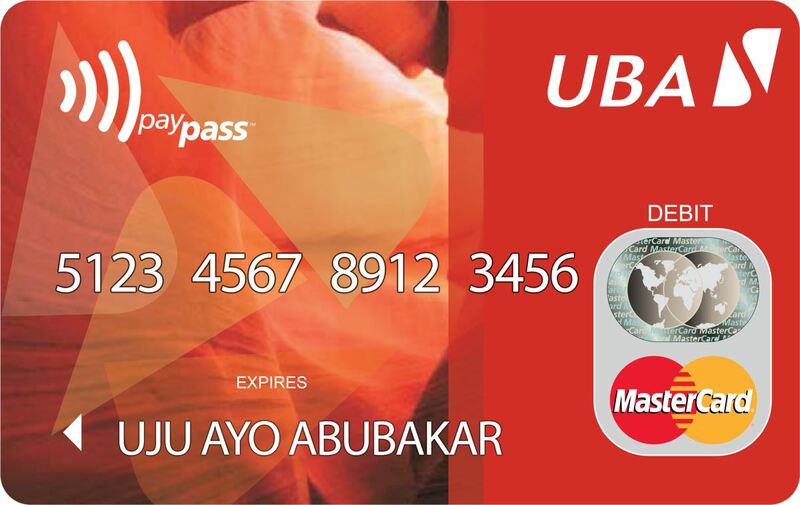 Your UBA Debit MasterCard is extremely versatile and simple to use. You have the convenience of paying for your purchases directly from your bank account, without having to carry any cash. That’s the cashless lifestyle! Yet, your card and your transactions are highly secured with the best card technology. If your UBA Debit MasterCard gets lost or stolen, you are protected against fraudulent purchase transactions from the moment you report the loss to UBA (Call CFC on +234 1 280 8822). — You need to have an active savings or current account. 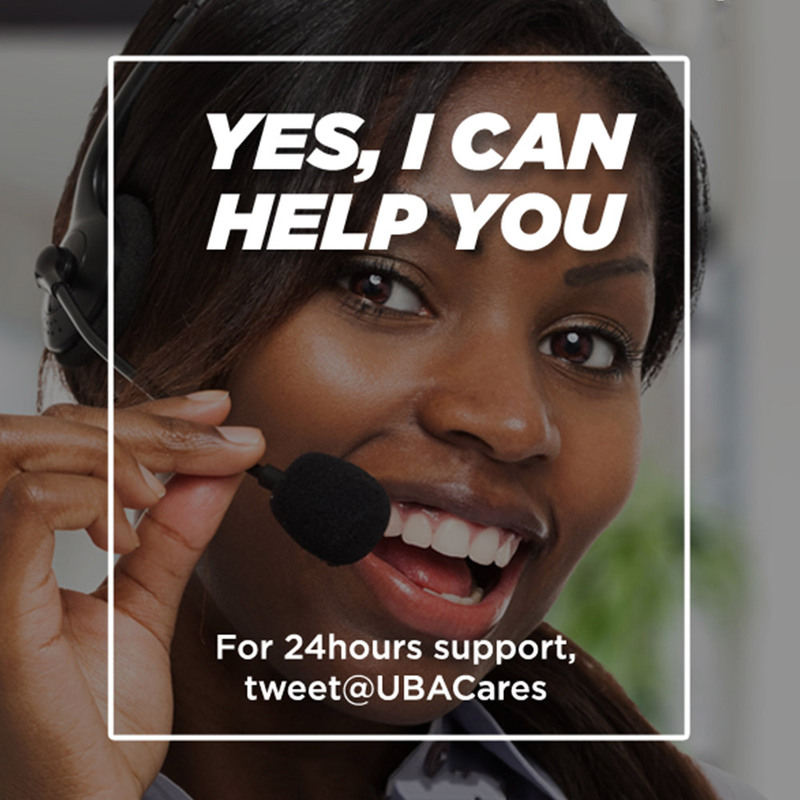 If you don’t have an account with UBA, simply open one. Click here to see which of our accounts is good for you. International transaction limits are subject to market changes. Your UBA Debit MasterCard allows you to track your purchases on a regular basis. The details of the purchases made on your card, along with the date, merchant name and amount are mentioned in your bank statement. For more information about receiving your bank statement by email, please visit our UBA Alerts page. 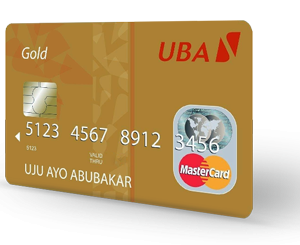 Access your money anywhere with the UBA Gold Debit MasterCard, which also includes making purchases over the internet wherever the MasterCard or Maestro logo is displayed. You can make withdrawals at any of the one million MasterCard enabled ATMs in over 210 countries and purchases at over 31 million merchant locations worldwide. 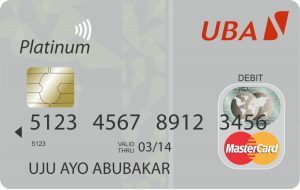 The UBA Gold Debit MasterCard is a debit card issued on your Naira account in Nigeria. Therefore, you can use your card anywhere in the world. 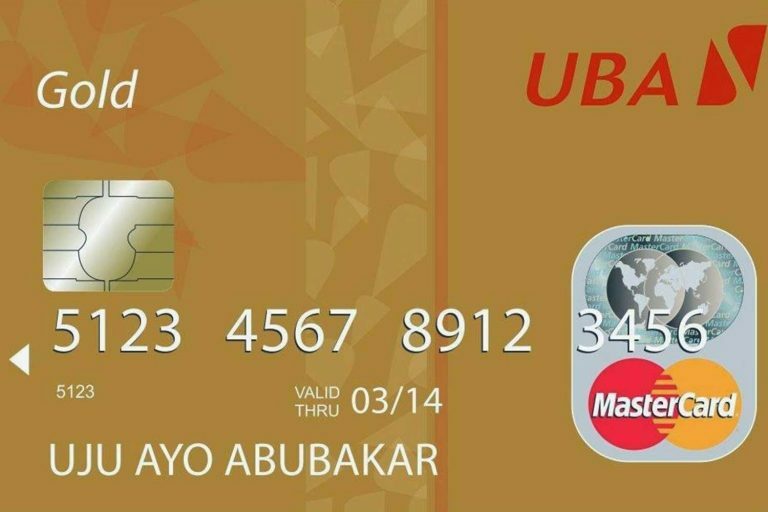 Your UBA Gold Debit MasterCard is extremely versatile and simple to use. You have the convenience of paying for your purchases directly from your bank account, without having to carry any cash. That’s the cashless lifestyle! Yet, your card and your transactions are highly secured with the best card technology. Your UBA Gold Debit MasterCard allows you to track your purchases on a regular basis. The details of the purchases made on your card, along with the date, merchant name and amount are mentioned in your bank statement. For more information about receiving your bank statement by email, please visit our UBA Alerts page. Yes. 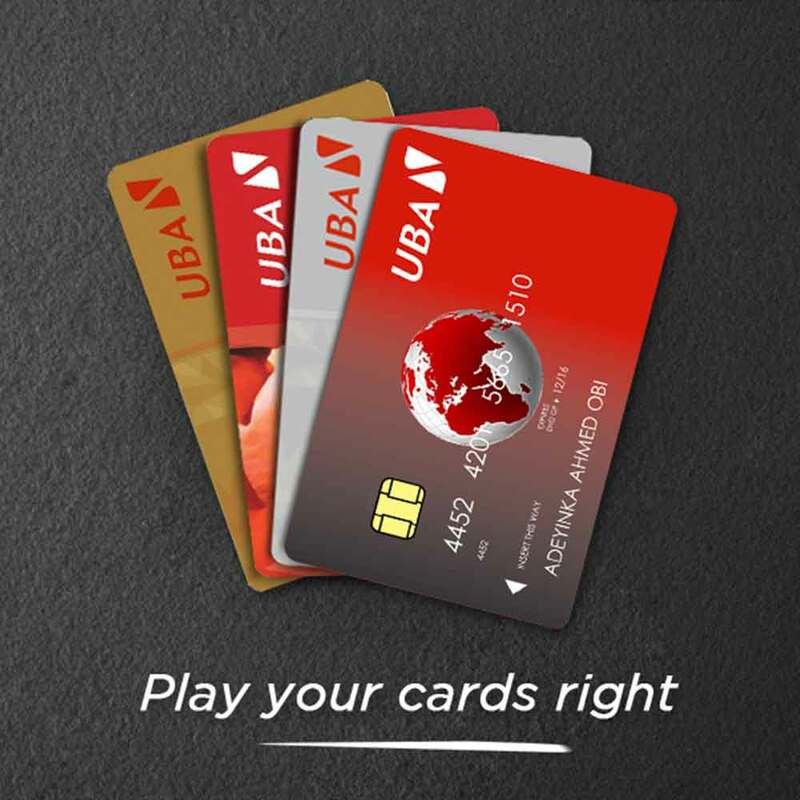 You need to activate your card using the instant PIN selection on the POS or ATM at any UBA Business Office. Your UBA Gold Debit MasterCard is internationally valid and very handy when you are traveling abroad. Get access to over 1 million ATM’s and 32 million merchant establishments, worldwide, wherever MasterCard is accepted. Access your money anywhere in the world with the UBA Gold Debit MasterCard for Domiciliary Account, which includes making purchases over the internet wherever the MasterCard or Maestro logo is displayed. UBA’s Gold Debit MasterCard for Domiciliary Account products are tied to card holder’s domiciliary account instead of Naira current or savings account. They offer the same flexibility in usage anywhere in the world, including Nigeria and any of the1 million MasterCard enabled ATMs in over 210 countries and purchases at over 31 million merchant locations worldwide. All transactions carried out with the Gold MasterCard for Domiciliary Account are debited from card holder’s Dollar, Pounds or Euro account, depending on the currency in which transactions are consummated. Your UBA Gold Debit MasterCard for Domiciliary Account can be used for cash withdrawal abroad at any ATM where MasterCard is as well as for making purchases at over 32 million merchant locations. Your UBA Gold Debit MasterCard for Domiciliary Account is extremely versatile and simple to use. You have the convenience of paying for your purchases directly from your UBA domiciliary account, without having to carry cash. That’s the cashless lifestyle! Yet, your card and your transactions are highly secured with the best card technology. If your UBA Gold Debit MasterCard for Domiciliary Account is stolen or misplaced, you are protected against fraudulent transactions from the moment you report your lost or stolen card to UBA (Call CFC on +234 1 280 8822). Your UBA Gold Debit MasterCard for Domiciliary Account is internationally valid and very handy when you are traveling abroad. Get access to over 1 million ATM’s and 32 million merchant locations worldwide, wherever MasterCard is accepted. All charges such as monthly maintenance charge; international ATM withdrawal charges; etc. attract VAT of 5% in compliance with the regulations of the federal tax bodies. A transaction fee is applicable to withdrawals from any ATM outside Nigeria. All international transactions must be in accordance with relevant regulations of the Central Bank of Nigeria. 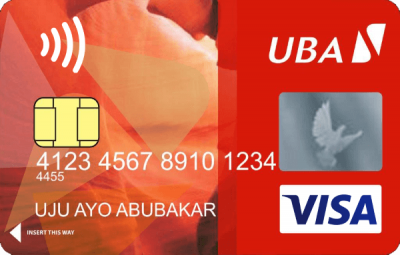 Your UBA Visa Classic® Debit Card can be used for cash withdrawal at any UBA ATM or any ATM displaying the Visa or V-Pay logo and can also be used to make everyday purchases at merchant locations and web sites where Visa is accepted anywhere in the world. Your UBA Visa Classic® Debit Card allows you to track your purchases on a regular basis. The details of the purchases made on your card, along with the date, merchant name and amount are mentioned in your bank statement. For more information about receiving your bank statement by email, please visit our UBA Alerts page. 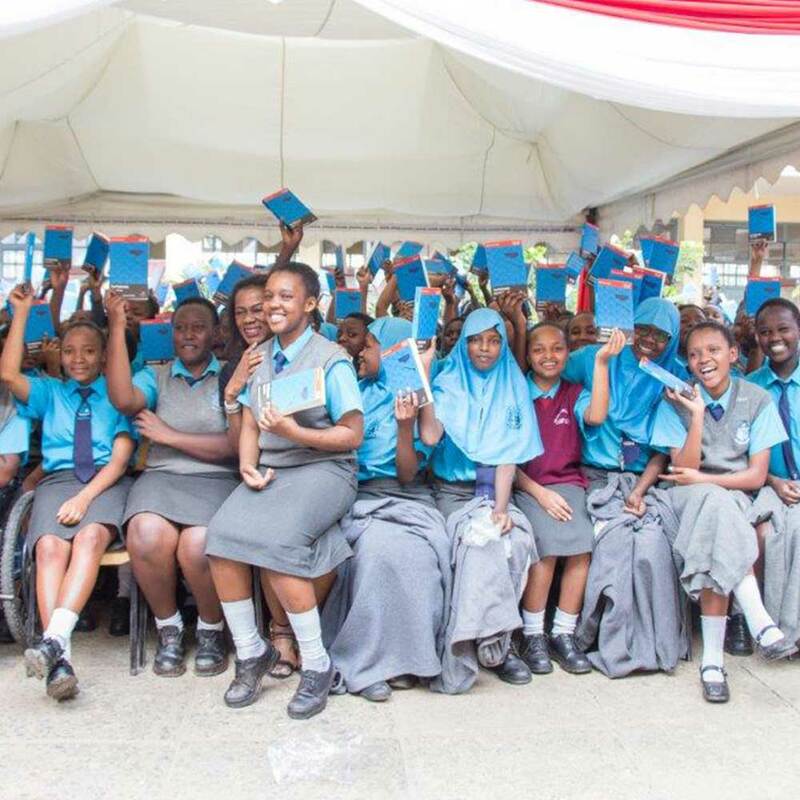 All charges such as monthly maintenance charge, international ATM withdrawal charges; attracts VAT of 5% in compliance with the regulations of the federal tax bodies. 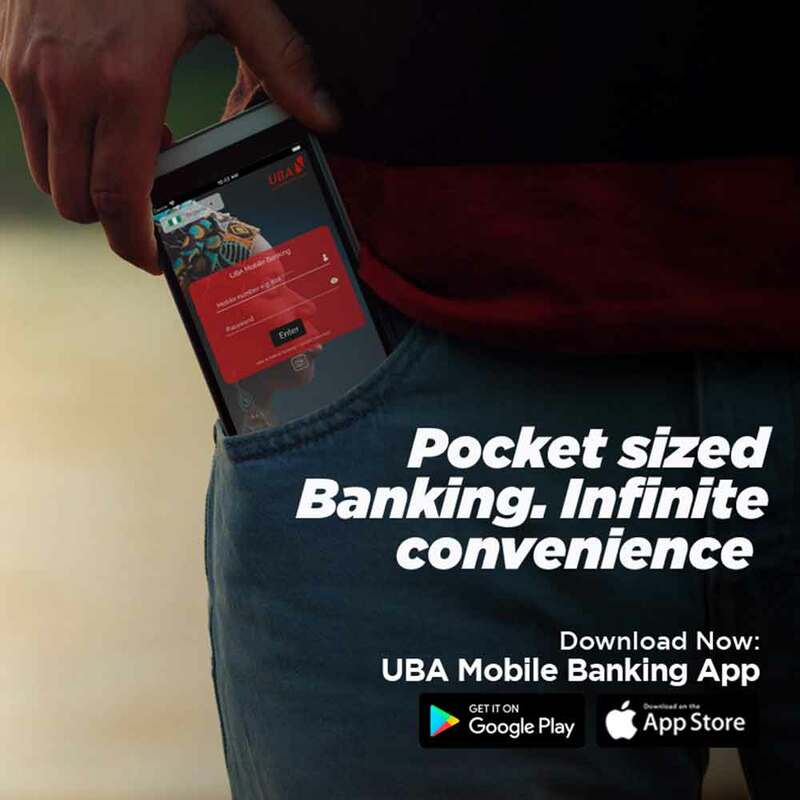 Your PIN and CVV2 code (Card Validation Value) would be required to authorize all l web transactions after the UBA Visa Classic® Debit Cardholder activates the Visa Internet PIN (i-PIN) on a UBA ATM terminal. Your CVV2 (Card Validation Value) code is different from your PIN, it is the last 3 digits written on the signature panel behind the card. It is required for all web transactions done locally and internationally. Access your money anywhere with the UBA Visa Dual Currency (DCDC) ® Debit Card, which includes making purchases over the internet wherever the Visa or V-Pay logo is displayed. You can make withdrawals at any of the 1.8 million Visa enabled ATMs in over 200 countries and purchases at over 29 million merchant locations worldwide. The UBA Visa Dual Currency (DCDC) ® Debit Card is issued on both your Naira and USD dollar domiciliary account in Nigeria. Thereafter, whenever you make local purchases / withdrawals in Nigeria your transactions are routed through your Naira account but whenever you make international purchases / withdrawals transactions are routed through your USD dollar account. This unique feature of the card is called the Dual currency functionality. Your UBA Visa Dual Currency (DCDC) ® Debit Card is extremely versatile and simple to use. You have the convenience of paying for your purchases directly from your bank account, without having to carry any cash. That’s the cashless lifestyle! Yet, your card and your transactions are highly secured with the best card technology. If your UBA Visa Dual Currency (DCDC) ® Debit Card gets lost or stolen, you are protected against fraudulent purchase transactions from the moment you report the loss to UBA (Call CFC on +234 1 280 8822). You need to have an active Naira current and USD domiciliary account. 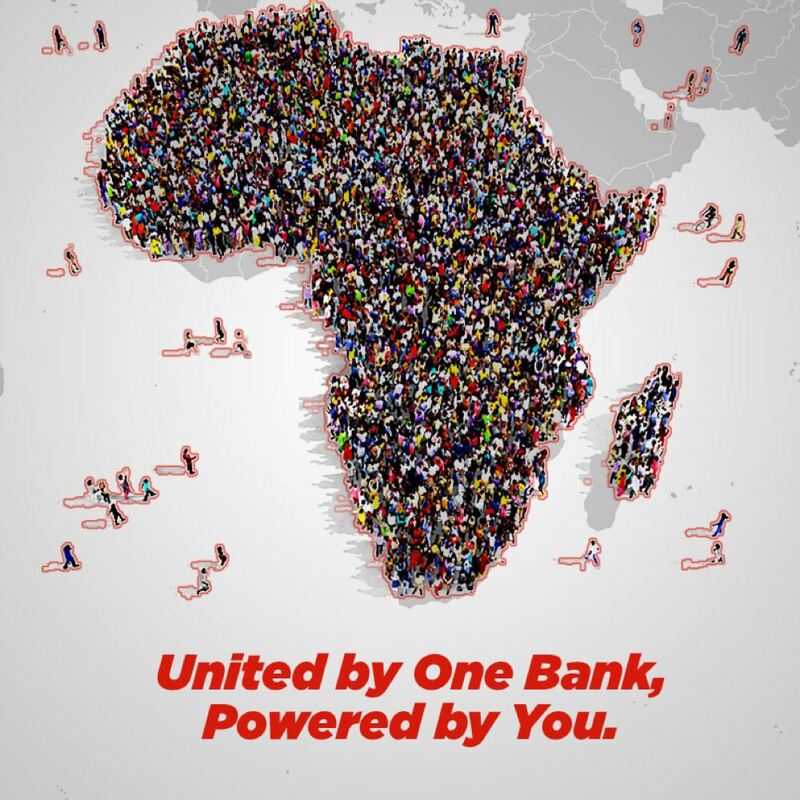 If you don’t have an account with UBA, simply open one. Click here to see which of our accounts is good for you. Your UBA Visa Dual Currency (DCDC) ® Debit Card can be used for cash withdrawal at any UBA ATM or any ATM where Visa is accepted anywhere in the world, as well as for making purchases at over 29 million merchant locations. Your UBA Visa Dual Currency (DCDC) ® Debit Card allows you to track your purchases on a regular basis. The details of the purchases made on your card, along with the date, merchant name and amount are mentioned in your bank statement. For more information about receiving your bank statement by email, please visit our UBA Alerts page. All charges such as annual maintenance charge; international ATM withdrawal charges; etc. attract VAT of 5% in compliance with the regulations of the federal tax bodies. A transaction fee is applicable for withdrawals from any ATM outside Nigeria. Your PIN and CVV2 code (Card Validation Value) would be required to authorize all web transactions after the UBA Visa Dual Currency (DCDC) ® Debit Cardholder activates the Visa Internet PIN (i-PIN) on a UBA ATM terminal. Your CVV2 (Card Validation Value) code is different from your PIN, it‘s the last 3 digits written on the signature panel behind the card. It is required for all local web transactions done within Nigeria. 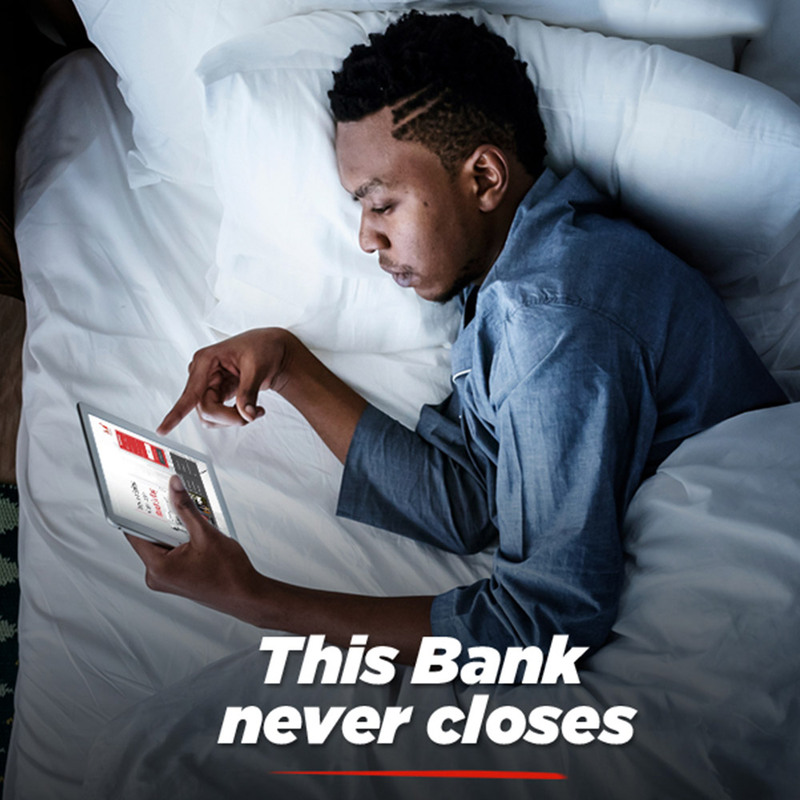 Access your money anywhere in Nigeria with the UBA Verve® Debit Card, which includes making purchases for goods and services at local merchant outlets (POS, Web) in Nigeria. You can make withdrawals at any ATM displaying the Interswitch logo within Nigeria. Your UBA Verve® Debit Card allows you to track your purchases on a regular basis. The details of the purchases made on your card, along with the date, merchant name and amount are mentioned in your bank statement. For more information about receiving your bank statement by email, please visit our UBA Alerts page. 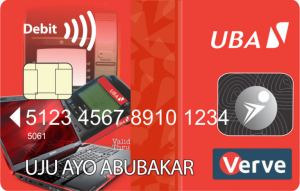 Your UBA Verve® Debit Card is extremely versatile and simple to use. You have the convenience of paying for your purchases directly from your bank account, without having to carry any cash. That’s the cashless lifestyle! Yet, your card and your transactions are highly secured with the best card technology. If your UBA Verve® Debit Card gets lost or stolen, you are protected against fraudulent purchase transactions from the moment you report the loss to UBA (Call CFC on +234 1 280 8822). You need to have an active savings or current account. If you don’t have an account with UBA, simply open one. Click here to see which of our accounts is good for you. Delivering an extensive range of perks and carefully considered benefits, it offers unrivaled protection and preferential treatment making you feel welcome, secure and valued for your business wherever you travel – around the corner or around the world. 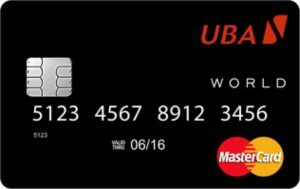 A reassuring symbol of your success, the UBA World MasterCard® is designed to delight you every step of the way. The UBA World MasterCard ushers you into an exclusive world rich with possibilities and high in expectations. Coupled with your exquisite taste for the finest life has to offer, the UBA World MasterCard distinguishes you with higher purchase limits whenever you dine, travel or enjoy the arts. The Card has been designed to delight you every step of the way. Delivering an extensive range of exclusive perks and carefully considered benefits, it offers unrivaled protection and preferential treatment making you feel welcome, secure and valued for your business wherever you travel – around the corner or around the world. As a World Cardholder, you can count on exceptional privileges, advanced protections, and services designed to make you feel valued and special wherever you go—be it across the world or down the street. Prepare for your elevated cardholder status setting you apart with higher purchase limits as you shop, dine, enjoy the arts and experience once-in-a-lifetime adventures only on offer with the UBA Platinum MasterCard®. Confident and ready to enjoy all life has to offer; start living your dreams, reaping rich rewards and exceptional benefits with the UBA Platinum MasterCard®. You can go on and access your money anywhere with UBA Platinum MasterCard and make purchases at the POS and over the internet wherever the MasterCard or Maestro logo is displayed both at local and international merchant locations knowing your card is highly secured with the best in class technology.